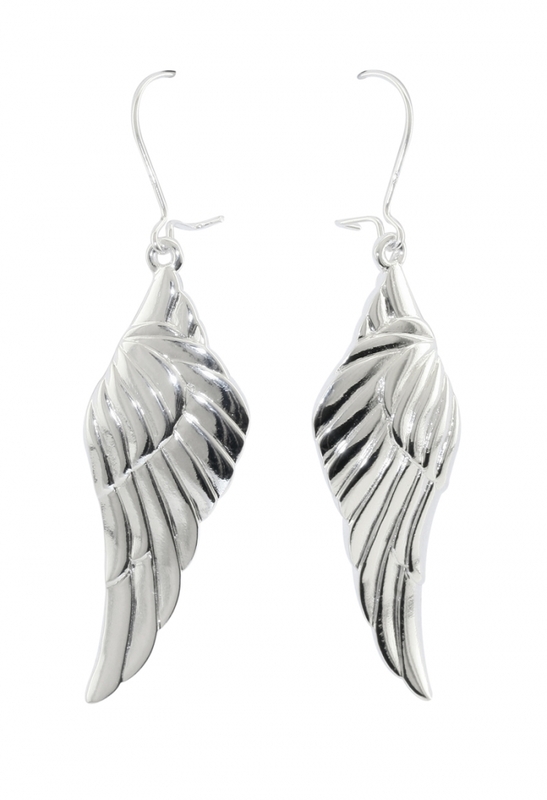 V&A Jewellery - Angel Wing Earrings: The wings of an angel are traditionally a very potent image, evoking peace, love, protection and blessing. These designs are based on a pen, ink and watercolour painting by the poet, artist and visionary William Blake, who was commissioned to paint a series of watercolours on biblical subjects. This particular painting depicts two angels hovering at the head and feet of Christ in the sepulchre after his crucifixion, and dates from about 1805. This range of fine jewellery comprises a necklace, earrings and bracelet which encapsulate the wings of the angels – these are printed onto shell mother-of-pearl and inlaid into sterling silver. This piece is inspired from an object in The Victoria and Albert Museum, London.